Several potted plants are arranges in front of a large arched window creating a lush indoor garden. 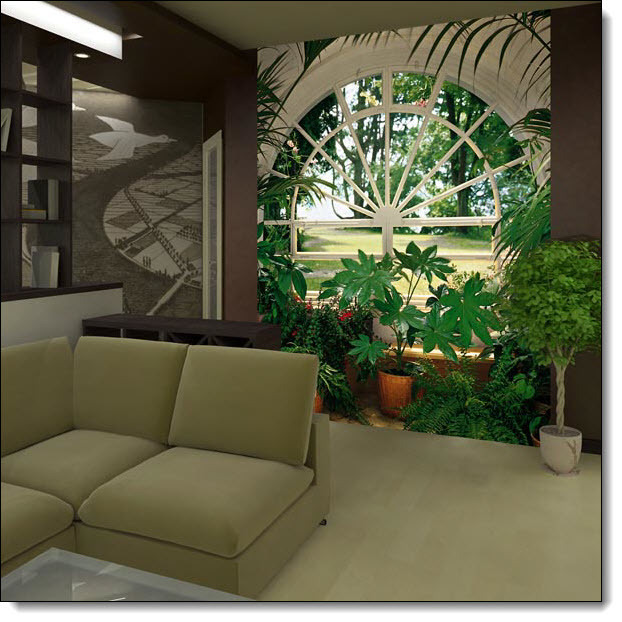 Turn your living space into a lush indoor garden with this highly detailed wall mural. Each of our wall murals gives you an expansive view that'll make you feel as though you've traveled miles and found the serenity of the great outdoors. All wallpaper murals come in separate, easy to install panels. Install by simply pasting and smoothing like wallpaper. Whether they are scenic or whimsical, wall murals and wallpaper murals can add drama and interest to any room in your home, or office!